Who Should Use the CareLex Reference Model in Clinical Trials and Why? To accelerate delivery of safer and more effective treatments, organizations across the clinical trial research value chain are continuously seeking new ways to work together to accelerate and enhance clinical trial development. In an increasingly networked environment for research, clinical trial data must be effectively and securely managed across multiple stakeholder organizations, including life sciences companies, contract research organizations (CROs), academic medical centers, outsourcing and application vendors, and regulators. As clinical trial stakeholder organizations seek to move from paper-based research to electronic, network driven approaches, information interoperability, information standards and agency compliance are key factors in accelerating the safe delivery of therapies to patients globally. The CareLex reference model provides an interoperable electronic foundation that all stakeholders in the clinical trial value chain can build upon. By adopting the CareLex model, clincial trial stakeholder organizations can seamlessly share clinical trial information using a standards-based model to collaboratively raise the effectiveness and efficiency of clinical trials. First – Use of standards-based published vocabularies or terms developed and curated by leading health science organizations, such as the National Cancer Institute, HL7, CDISC, FDA and other industry resources. Second – A published, machine-readable content classification layer that is operating system and application independent. Third – Adoption of internet standards for information classification and exchange. 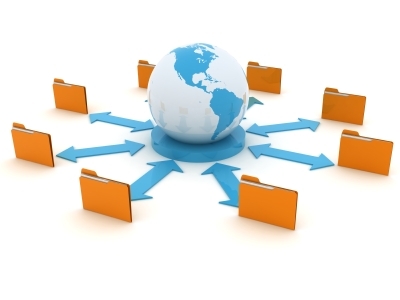 The CareLex model can be used with any electronic record keeping approach: From simple file system and folder approach all the way to sophisticated electronic content management systems. The CareLex model provides clinical trial stakeholder organizations with an interoperable model to accelerate information exchange for global clinical trials, reducing paper, enhancing compliance efforts, and improving clinical trial technology collaboration. The CareLex model technology and database is freely licensed under the Apache 2.0 open source model. Download the CareLex reference model today. Click here for download and licensing information.